1. Cheap flights Fak Fak - Manokwari: start at US $ 69. Looking for a cheap flight from Sorong to Manokwari (SOQ-MKW)? Flights fares for Sorong to Manokwari start at US $ 49.00. Find the best and cheapest flights on this route and other relevant information. Before you book a flight you can use Utiket to find the cheapest flights from Sorong to Manokwari for Lion Air, Garuda Indonesia, Batik Air, Wings Air, Citilink, Sriwijaya Air. All flight data are real-time and accurate. Utiket finds all the cheapest flights from Sorong to Manokwari. On average the flight time between Sorong and Manokwari is about 40 min. There is no time difference between these cities. The timezone for both cities is: UTC +09:00. The local time now: 23:44:40. There are 4 airlines flying from Sorong to Manokwari. Weekly there are 16 flights between Sorong to Manokwari. The earliest flight from Sorong to Manokwari is at 07:25. The latest flight is at 15:35. 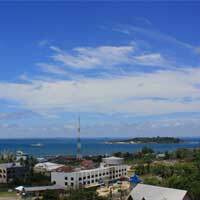 The cheapest price for flight from Sorong Manokwari is USD 49.00. Sorong Airport is the gateway to Raja Ampat and one of the larger airports on Papua. Passenger numbers have increased in the last years due to the increasing popularity of Raja Ampat and a expansion project has just been finished. 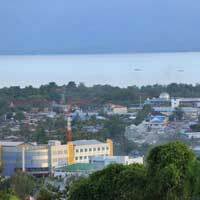 Sorong Airport is only reachable from within Indonesia: there are no international flights. Find cheap flights to Sorong or read more about Domine Eduard Osok Airport. Flights for Manokwariare are served by the Rendani Airport (MKW). The Rendani Airport is one of the busiest in West Papua. Manokwari can be accessed directly by airplanes from several major cities in Indonesia such as Jakarta, Surabaya, Makassar, Manado and Jayapura. Find cheap flights to Manokwari or read more about Rendani Airport. Which airlines have direct flights between Sorong - Manokwari? Need place to stay in Manokwari?